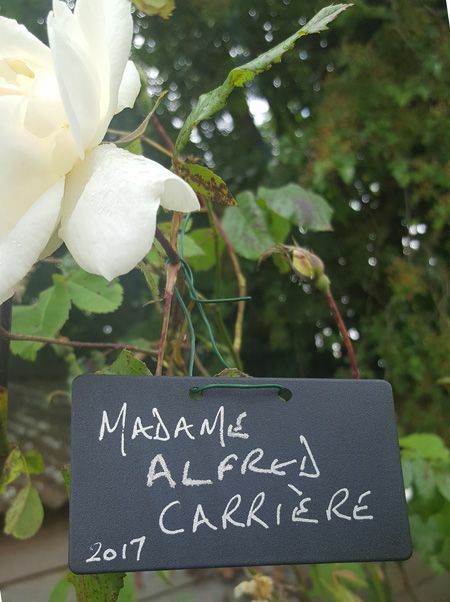 This plastic plant label is ideal for climbing and shrub roses, trees, shrubs, climbers and so on - a rectangular label with two attachment holes. For those who have not considered this type of label before, PH9's are considered really useful by many of our regulars. Simply fix them on with wire, string or 2.5mm Flexi-Tie (see Specials and then Ties & String) and hanging at or near eye level they are out of the way of marauding mowers, strimmers, inquisitive animals and little fingers.